In November 2013, NFL kicker Nick Novak of the San Diego Chargers continues his fundraising effort to help Kicking For The Dream raise money to fight ovarian cancer, according to Kicking For The Dream founder NFL kicker Billy Cundiff. The reality is no one is safe, you just never know when cancer will knock on your door. This is why we must all do our part to raise money and awareness any chance we get. Nick Novak. 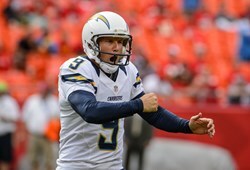 NFL kicker Nick Novak of the San Diego Chargers continues his fundraising effort to help Kicking For The Dream raise money to fight ovarian cancer, according to Kicking For The Dream founder NFL kicker Billy Cundiff. 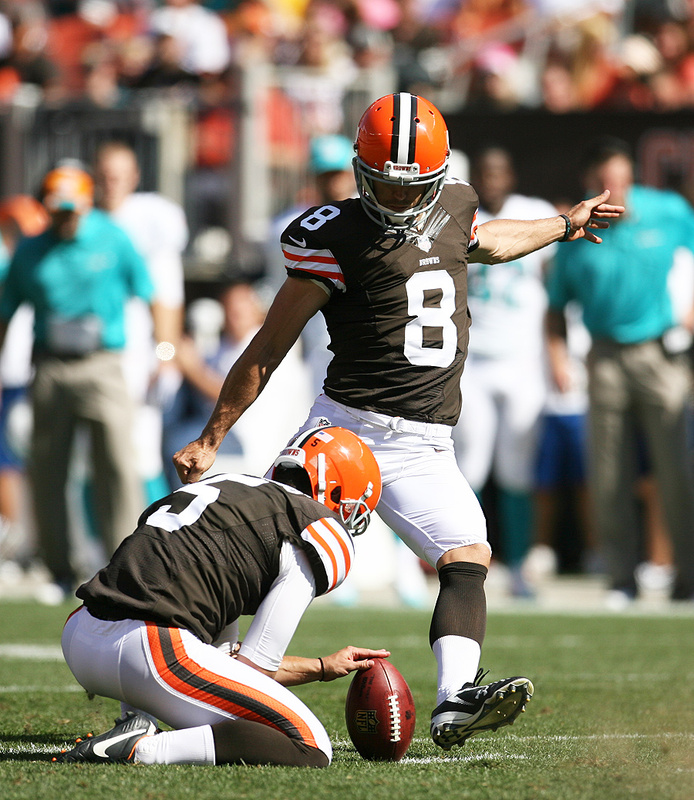 Go here for Nick Novak’s Kicking For The Dream donation page. Novak says helping to raise money for Kicking For The Dream is very personal. "We have all been affected by cancer in some way or another," says Novak. 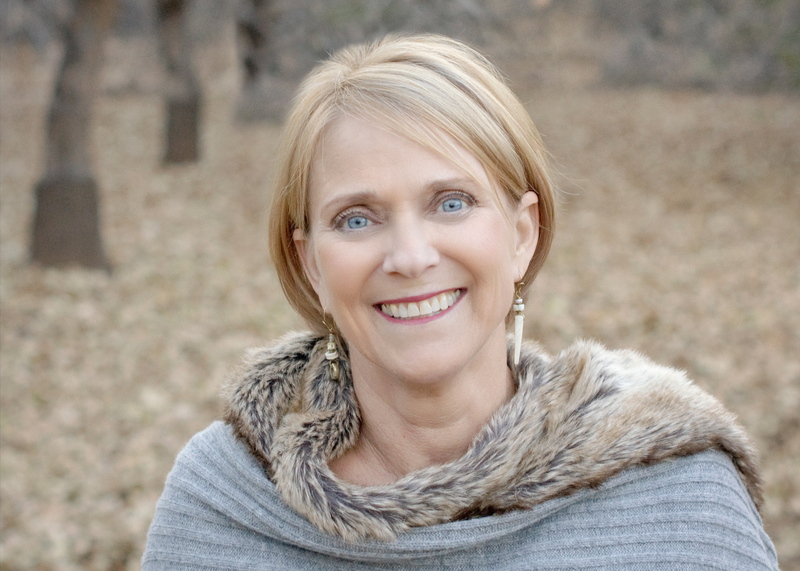 "For me it was Annie Arth, she passed in 2005 after battling ovarian and breast cancer her entire adult life. A very good family friend and neighbor, I admired her so much because of her positive attitude and strength through it all." Novak says this experience impacted him deeply. "I donate every chance I get because of Annie, and all the children I've met over the years at Rady's Children's Hospital in San Diego," says Novak. "The reality is no one is safe, you just never know when cancer will knock on your door. This is why we must all do our part to raise money and awareness any chance we get." "In the past, I have donated to the American Cancer Society for every kick I make during a game," says Novak. "I’d usually donate $100-150 a kick, and both the team, and my agent Chad Wiestling, would match the total amount." "This is what it’s all about, I tip my hat to Cundiff and all the others involved in Kicking For The Dream," says Novak. Nick Novak has already raised $2850 of his initial $500 goal. Kicking For The Dream has already raised $16,426 of its $20,000 goal with 52 days left in its campaign. Ovarian cancer is often referred to as "the silent killer" because many women do not discover their disease until it is in the late stages, which leads to many women succumbing to the disease within a short period of time. Unlike cervical or breast cancer, ovarian cancer does not have a standardized early detection procedure. When it comes to women’s health, ovarian cancer proves to be one of the deadliest diseases.